H Street’s latest restaurant, Sally’s Middle Name, doesn’t play by the rules. Your server will not hand you a paper menu because all of the offerings are scribbled on the walls. Nor will your server allow you to tip. In a city whose religion is following the rules, it’s fun to shove some restaurant norms to the side for a night. 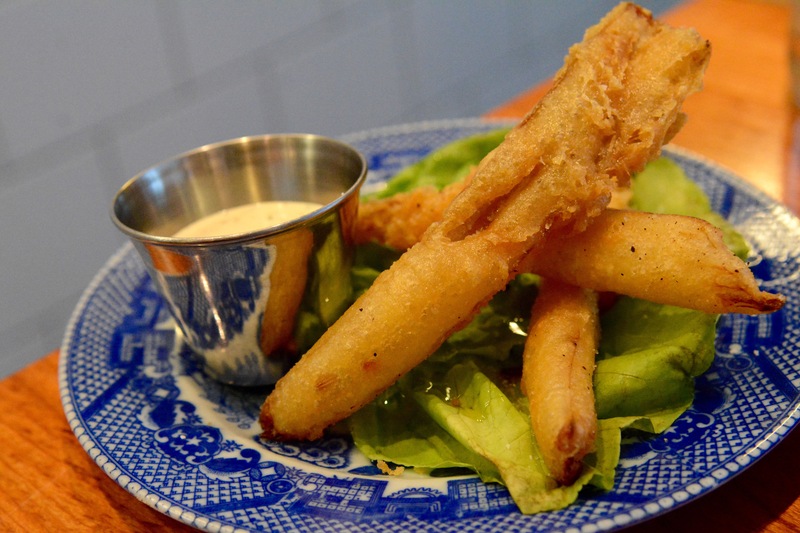 If you dig fried pickles, you’ll love these sour stalks that hit the fryer, especially after you dip them in ranch dressing. Ranch is having quite the resurgence. It’s no longer relegated to serving as the obvious dip for dreary looking carrot sticks at PTA meetings. There’s even a new ranch restaurant in St. Louis. The menu at Sally’s Middle Name changes daily, but the stalks seem to stay on, making them a bit of a signature dish. 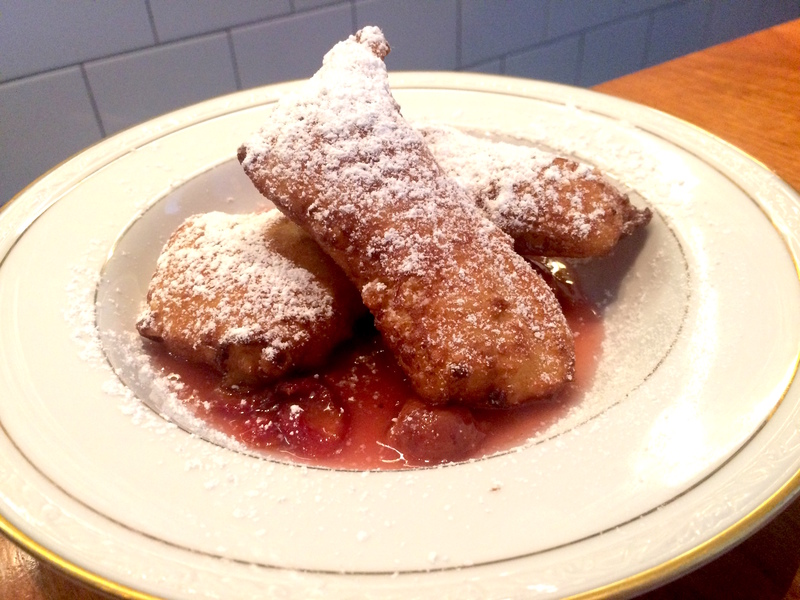 After the stems, the Next Best Thing on the Menu would probably be something from the dessert selection, like these cannelloni-shaped beignets. Just one word of warning. Portion size doesn’t always match up with price at Sally’s Middle Name. The culprit during a recent meal was a 3.5oz portion of halibut served on a thin ladle of tomato sauce presented on a bread plate for $20. This is partially why, after ordering six dishes, my dining companion and I ended up at Maketto eating fried chicken. Find Sally’s Middle Name at 1320 H St NE. Fried pickled chard stems not your BTM? Share your favorites in the comments section. This entry was posted in Restaurants and tagged H Street NE, New Restaurant, Sally's Middle Name. Bookmark the permalink.